Richard Hurley received his undergraduate degree from Harvard College and wrote for the "Harvard Lampoon". He worked for three years in the history division of the Oakland Museum of California. He earned a master's degree in architecture from UC Berkeley, then left the Bay Area for the Sierra foothills and a career in computer-based multimedia. Richard is co-author of the award-winning historical fiction "Queen of the Northern Mines". 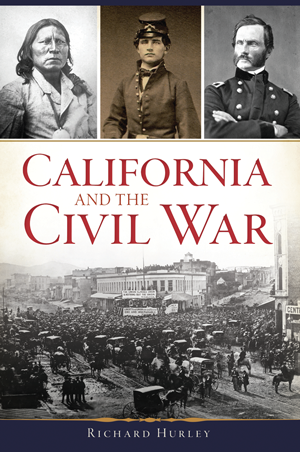 He has authored multimedia shows and guest curated a museum exhibit on California and the Civil War. For a look at some of the themes covered by the book (and to hear interviews with the author), please visit his home page at www.bearriverbooks.com.